Our Euro hitch pallet and bale fork combo is a dual function attachment designed for tractors with Euro hitch loaders. 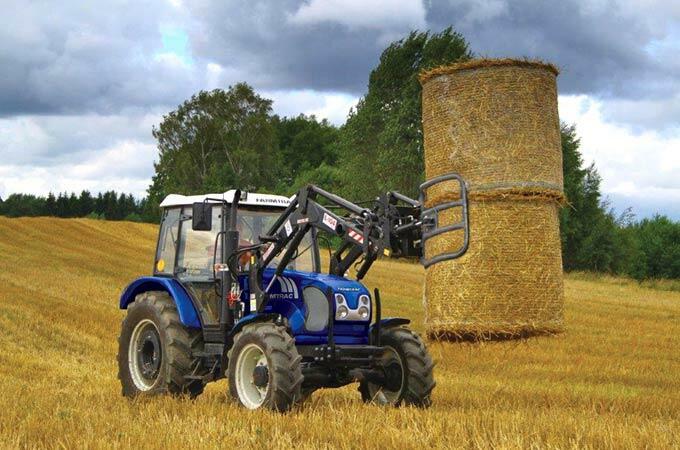 Ideal for round straw bales, pallets and other applications, it is a high quality, heavy duty combination that is manufactured in Europe. The combo is made up of a fork and pikes that can be easily swapped around to suit the job at hand. The pallet fork arms can also slide horizontally across the attachment. Farmtrac 9120DTN 110hp with pallet and bale fork combo. Easily adjust the combo to suit the task. 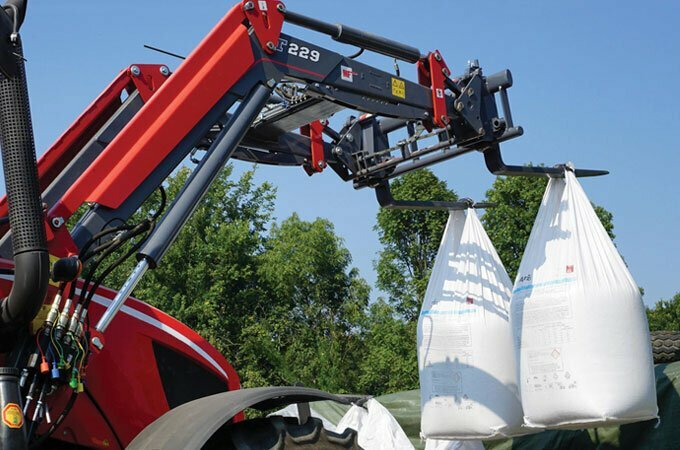 The Euro hitch pallet and bale fork combo is available for all Farmtrac DT series front end loaders and other tractors loaders with a Euro hitch. It has a two year manufacturer’s warranty and is fully supported by SOTA Tractors. Use the pallet fork to lift and transport heavy objects, as well as move pallets. Slide the pallet fork into the middle of the attachment, for more versatility. Delivery of Farmtrac 9120DTN with pallet and bale fork combo to NSW. The pallet fork without pins attached – used for moving pallets. 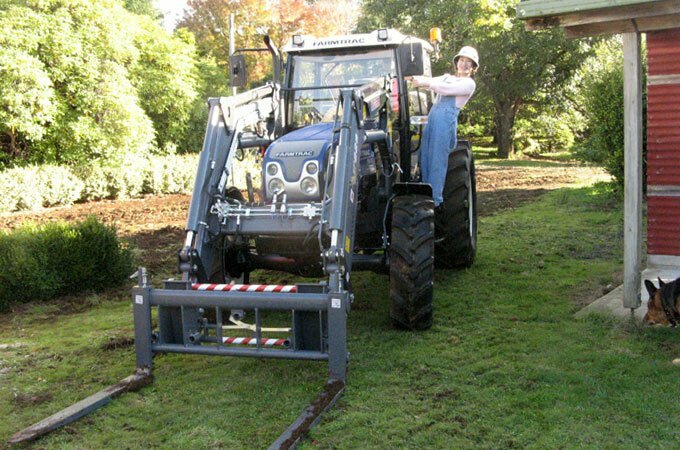 The Farmtrac 690DT 90hp with bale fork. 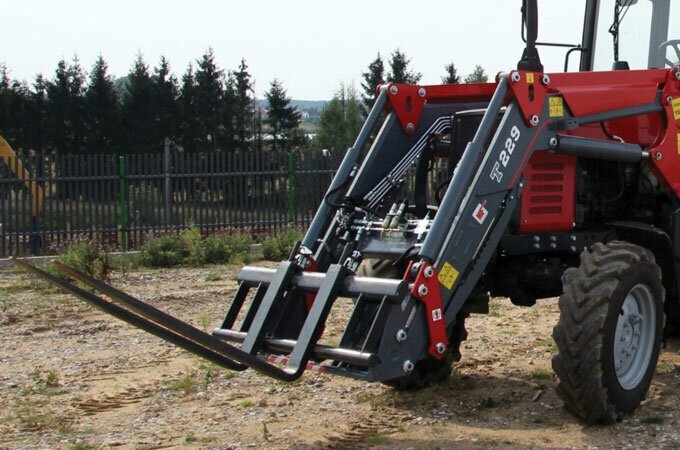 MFPBF1000 Heavy duty pallet and bale fork combo – manufactured in Europe.